KARACHI: The United Nations released on Wednesday a report on gender equality for its Sustainable Development Agenda 2030 with Pakistan being one of the main four countries in focus. The report identifies inequality among women and girls and paints a sorry picture for the country. 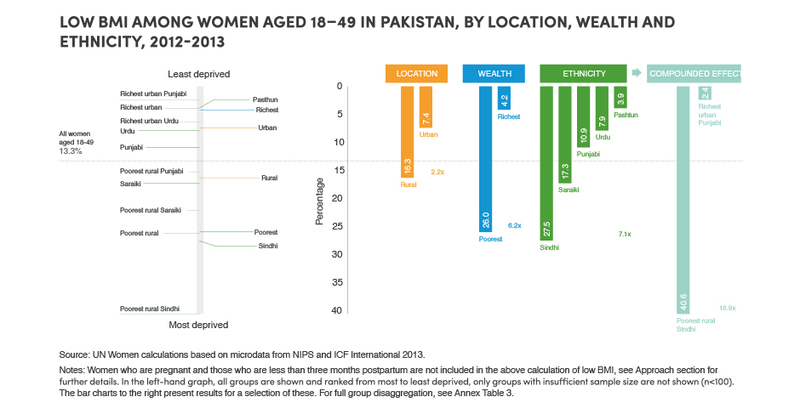 Using data from a UN Demographic and Health Surveys 2012-2013 report which takes into account variables such as wealth, location and ethnicity, the report reveals that 12 per cent of women in Pakistan (4.9 million) aged 18-49 are simultaneously deprived in four Sustainable Development Goals-related dimensions: 1. Child marriages, 2. Education, 3. Healthcare, and 4. Employment. “These women were not only married before the age of 18 and education-poor, they also reported no agency in health-care decisions and said they were not working at the time of the survey,” the report adds. 79.8 per cent of the women in this cluster live in rural areas and households concentrated in the bottom 40 per cent of the wealth distribution. 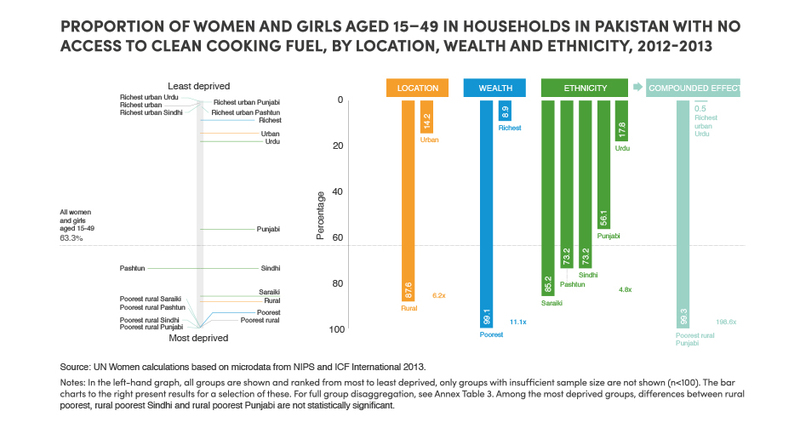 The data highlights that women from marginalised ethnic groups living in poor rural households fare worse across a variety of well-being and empowerment. The most disadvantaged ethnic group oscillates between Sindhi, Saraiki and Pashtun. 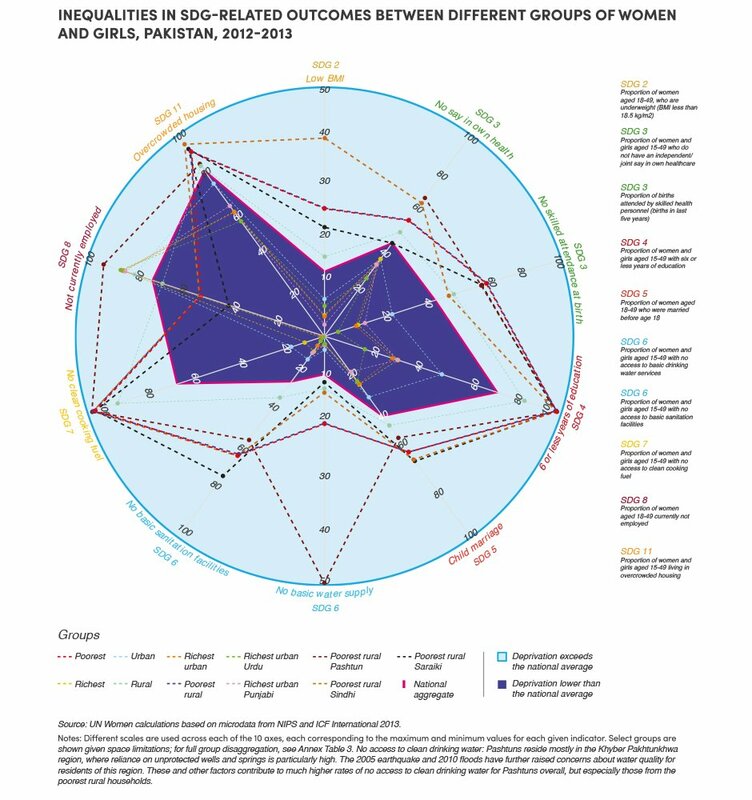 “Sindhi women and girls from the poorest rural households fare far worse than any other group across all wealth quintiles and locations,” the report notes. The report found that around 79.8 per cent of the women lack access to clean cooking fuel while a quarter is deprived of sanitation services with seven per cent living more than 30 minutes from the closest water source. A unique disparity was found in employment with the richest more likely to lack employment as compared to the poorest – at 86.8 per cent and 53.3 per cent respectively. While poverty pushed the poorest women into precarious, 0ften informal and unpaid work, the rich face significant barriers including biased gender norms, discrimination in wages and limited job options. Child marriage, widespread across all socioeconomic groups, encompasses 12 per cent of all women aged 18–49 (or 4.9 million). Almost 24 per cent of women belonging to the richest households and a staggering 63 per cent from the most disadvantaged backgrounds are married before age 18. While inequality is observed across all indicators, the largest disparity is seen in regards to education. Where 98.8 per cent of the women belonging to rural background and 29.3 per cent belonging to the richest urban dwellers lack access to education. In total 74 per cent of have an average of less than 6 years of education. 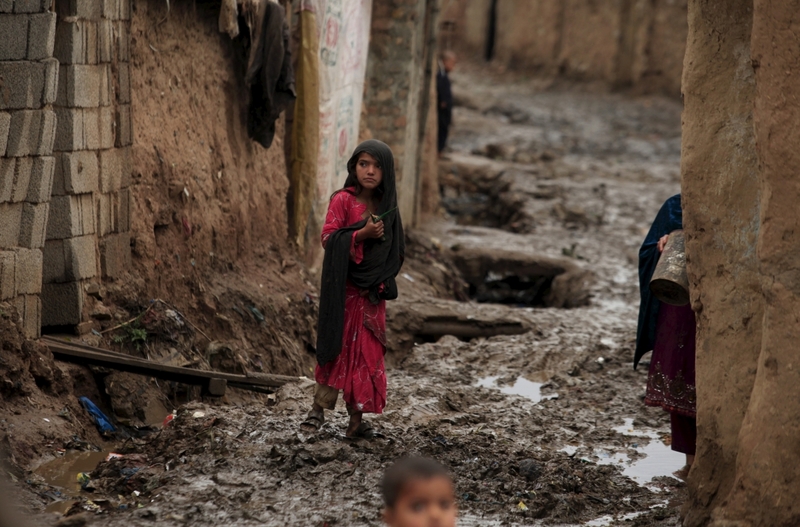 The data reveals that poor, rural Pashtun women are the most disadvantaged in literacy. 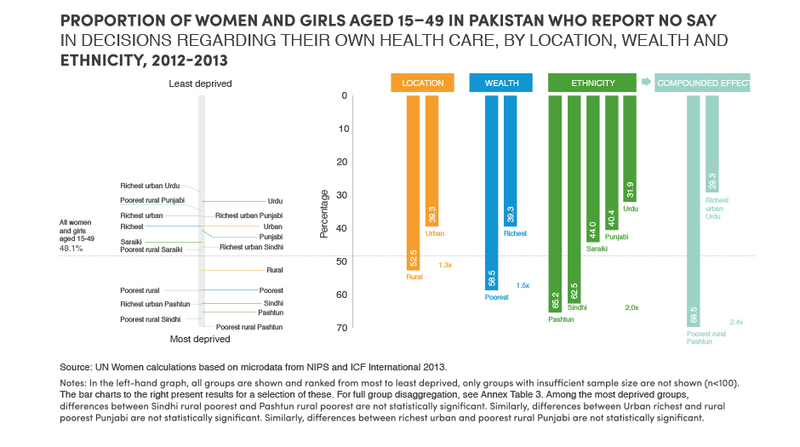 Looking at healthcare, women and girls from rural areas with high concentrations of poverty have less access to medical services. The difference between the most advantaged and most disadvantaged groups is significantly large (13.4 and 70.2 per cent, respectively). The report stated, on average, 48.1 per cent of women and girls aged 15 have no say in decisions relating to their own health care, however, percentages vary significantly by location, wealth and ethnicity. 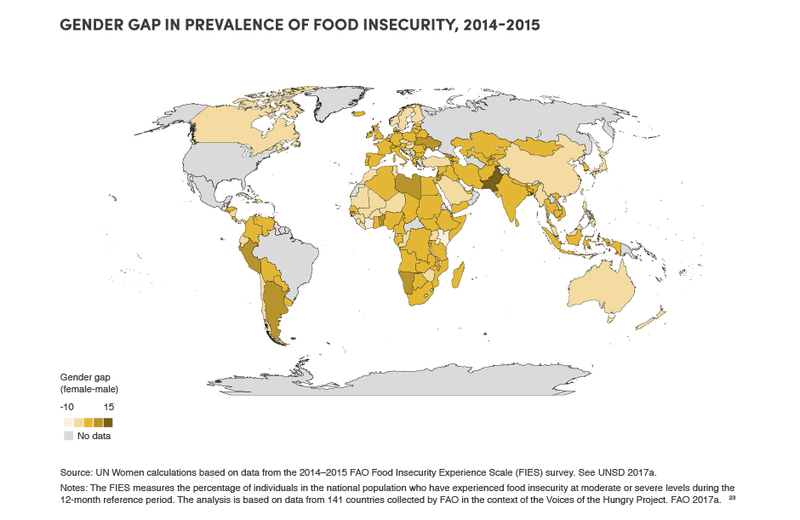 Food insecurity among women was a staggering 11 per cent higher than among men. Only 32 per cent of rural households have access to safely managed drinking water compared to the 41 per cent of urban households. The large differences also exist across income and ethnic groups. When safe water is not available, women and girls from 80 per cent of households are responsible for water collection, especially in rural areas. 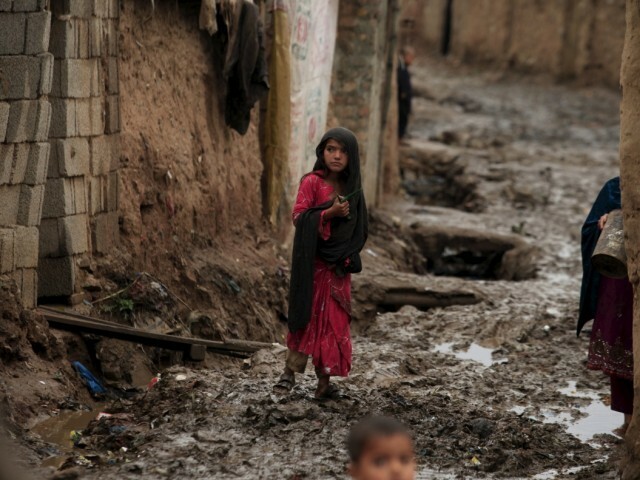 Almost 70 per cent of the female urban population in Pakistan lives in slums where they lack at least one of the following: access to clean water, improved sanitation facilities, durable housing or sufficient living area.